Elder King and I (Area Auditors) were recently in Ladysmith and these wonderful Elders helped us unload boxes of books from the car. 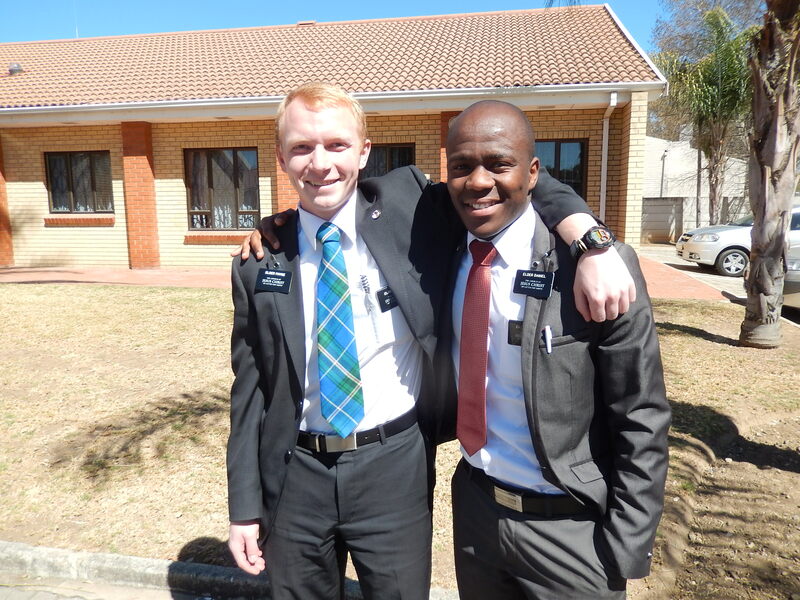 We hear they are amazing Elders and doing much good in the area. We snapped a photo to remember them by and thought you may enjoy it as well. We are so grateful for their labors in the Durban Mission!! Have a wonderful day and many blessings.